Our 6 Week Programs and Sparkle and Shine Performance Program offer young dancers a great way to try dance without a year long commitment. Take 1 Session, 2 Sessions or all 3 and then opt to participate in our Sparkle and Shine Performance. Review sessions and costume pick-up is in May and dress rehearsal and the performance are held the weekend of June 1st and 2nd, 2019. It is a low stress, relaxed performance opportunity and the entire show lasts 45 minutes which is perfect for this age group and their extended family that enjoys attending the perfomance. Don't want to participate in the performance? That is a wonderful choice, too! Just enjoy trying out dance classes that fit around all of the other things in a young dancer's world. What? Your dancer wants to dance the whole season, not just in 6 Week Sessions?! That is a wonderful choice, too! Check out our Fall Spring 2018/19 class options for longer programs. Please see our What To Wear page for clothing/shoes guidelines. Review classes and costume pick-up is 5/15, 5/22 and 5/29. Dancers may attend 1, 2 or all 3 review classes. Dress Rehearsal is at Central Middle School on June 1st, 2019. Sparkle and Shine Recital is at Central Middle School on June 2nd, 2019. This class is designed to introduce young dancers (ages 18 months through 3 years) to the basics of movement and a classroom environment. Classes will promote socialization, coordination, listening skills and creativity. We use fun props, music and lively activities to keep their attention and teach them the basics. Encourage your Princess or Prince, ages 3-6, to learn the basics of ballet in this royal atmosphere! 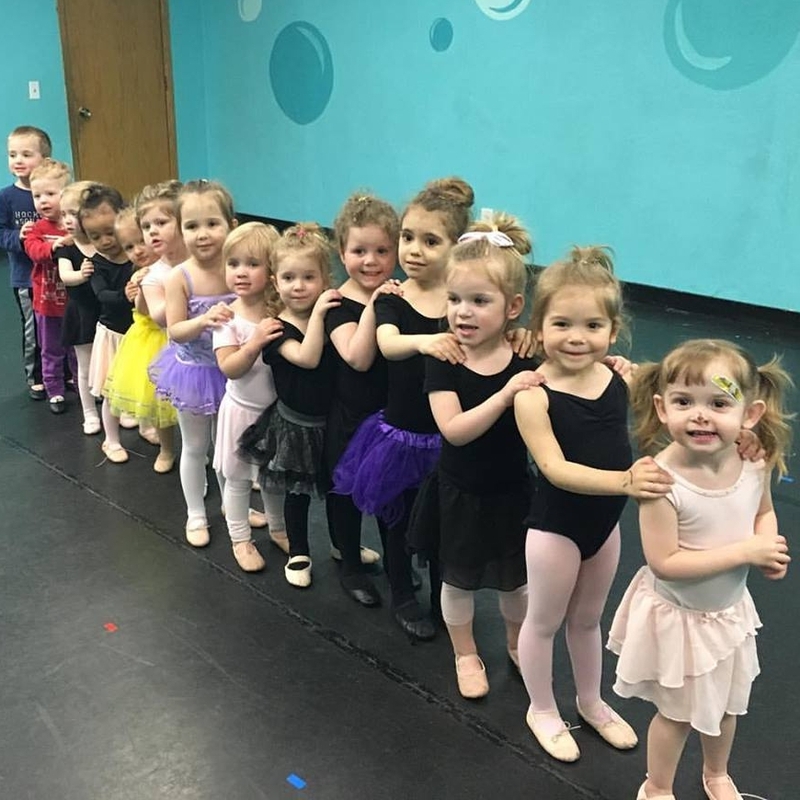 Young dancers will learn the basic positions, techniques, and vocabulary associated with the art of ballet at the beginner level. Dancers are encouraged to wear tutus, tiaras, and crowns. Hip Hop classes are popular at all ages, but especially for younger dancers! This is an introductory class, for ages 5-8, to the dance style of Hip Hop with a combination of street dance, isolations, floor work, and rhythm. Musical Selections focus on age appropriate ideas and positive music. Come join our Hip Hop Party! Its just about the BOYS! A fun, high energy hip hop class just for them!